Losing weight seems to be on most people’s wish list, but almost all of them commit the same mistakes and never reach their goal. Know what mistakes we commit when trying to lose weight. If you want to lose weight, it is as important to know what to avoid as what to do. The poor body image can lead people to risky behaviour which can have serious negative health consequences. Don’t be so fixated on losing weight that it cripples your perspective. You want to lose weight and gain health in the process. Losing weight and gaining diseases is not a good bargain, to say the least! We know too well that losing weight cannot happen overnight, but there are some who expect just that. Within a week, they want their body to start coming into shape. They want their hips, waist and hamstrings to get into shape. Noticeable results begin to show after a few months. Going on a diet does kick start the weight loss process and you do not need to be disheartened by not noticing it in the mirror. Moreover, the change is so gradual that you would not notice if you keep looking at the mirror daily. If you are not able to control your stress, it can complicate your problems of weight gain. There is a link between stress and your ability to lose weight. It is normal to turn to food when faced with a stressful situation. If you are not able to fix your stress, your diet plan would not show result. Weight loss plan works best when you are stress free. Some people do not realise the amount of calories they keep consuming daily. As they do not keep calorie count by maintaining a dairy or calorie chart, it comes as a shock when they ultimately do so. The hidden calories that are commonly found in sugar or cream of your coffee, mayonnaise of your dishes, salt and pepper of your soup, and butter on toasts, and others often get washed down without getting noticed. This is one of the biggest mistake weight loss patients make. Research has shown that the body begins to store fat if it does not get food for 10 hours. So, if you do not take breakfast and make the body switch to the fat storage mode, all the food consumed at lunch would be converted into fat. Skipping meals is one of the worst things that you can do. Skipping meals mean you will get extra hungry and so will tend to eat more when you do eat your next meal. Also when you do not eat, your body releases the calories that were stored and so it backfires! Try and eat small meals throughout the day, six meals per day would be good and a healthy option. You know that brownie or the blueberry cheese cake that you share with your friend? Well, that is what is killing your attempts. After abstaining from a fat-filled dinner, you tend to think that you have achieved a lot and then go and treat yourself with some other fattening food. No, that is not the way to do it. After a good work out or after a week of healthy eating, you should not treat yourself with food. Instead get a massage done and feel rejuvenated! Don’t just do a mindless diet in order to lose weight. You will just end up getting weak and probably bed ridden! Do not fear that you will over eat, just place a small amount of food in your plate so that you eat the amount required for you. This is important because most people end up eating way more calories that they burn. 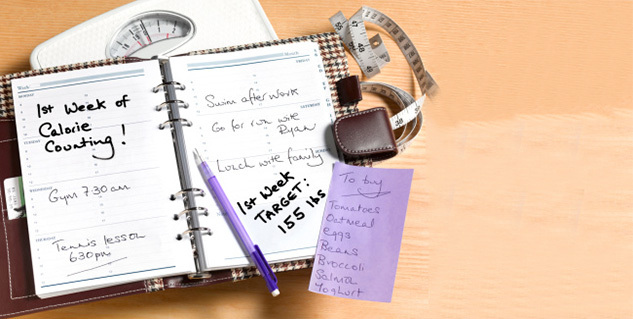 If you are on a diet, make sure that it is followed for the 7 days of a week. It is acceptable to give yourself a yummy treat every now and then, but that cannot be made into a habit. If you are serious about losing weight, guard against making these mistakes as you will never succeed if you do.